Retailers are having a tough time at the moment. Not only do they have to fend off large retailers like Amazon, they have to keep up with consumers’ increasing demands. Retail customers now shop where they want, how they want, when they want. They demand up-to-date-information, speed and easy access to the products they need. Larger retailers are able to offer consumers everything they desire – free shipping, next day delivery, low prices, stock transparency, collection options (e.g. click-and-collect, locker pickups) and 24/7 customer service. Most retailers are only able to offer a couple of these services, even though they know customers would like them all. Less than a third of retailers offer customers a view of their stock levels across all store locations, 45% offer no access to stock at all. A surprisingly small number of retailers (20%) use a system that updates in real-time. But 81% of retailers agreed that they needed this kind of capability to keep up with consumers needs (Marketing News Tech). After a difficult Christmas, with nearly 45,000 UK retailers in financial distress during the season (The Guardian), many will be looking to up their game in 2018. 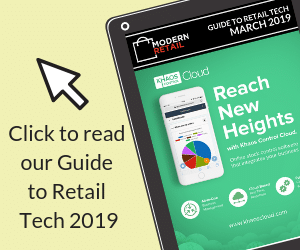 A lot of retailers will look to their agencies (or employ new ones) to help them improve their technology to win customers over while ensuring they get a return on their investment. When speaking to several agencies recently, many of the problems that retailers face are because of the challenges of integrating their systems, not sharing data and not synchronising their business processes. The solution for many retailers is to get staff to copy and paste spreadsheets from one system to another. Not only is this very time consuming, it’s open to human error. It would be better to spend that time, and staff, looking at how you can now develop and grow your business. If stock levels are not updated in real-time then customers can be left unhappy when their order is not fulfilled. By automating the synchronisation of stock levels across all sales channels retail outlets, you can offer customers the reassurance that the product they need is in stock when your system tells them it is. Added benefits to stock synchronisation are the ability to offer customers stock check services and click and collect services. If your systems are not integrated then it can be difficult for customer services to help customers with their order as they may not have up-to-date information in their system about the customer, order, or products. When your technology is not connected it makes it very difficult to have a comprehensive email marketing programme. Customer enticements such as newsletter sign-up discounts, cart abandonment emails, shopping basket discounts are all much more difficult if your email system is not updated in real-time. Synchronising customer marketing data would also facilitate compliance with the GDPR laws, which take effect from May this year, by keeping your customer records up-to-date. A salesperson on the move can’t check stock or input orders when outside of the sales environment due to them being unable to access or synchronise data. Knowing exactly what stock you have, at any one time, will improve your order fulfilment and your cash flow. You will also be able to be more efficient: for example, you can clear stock quickly with instant offers on the last remaining items or run specific line promotions. Customers want to have the same experience no matter where and how they shop with a retailer. This means that a retailer’s ecommerce and high-street stores need to work together so that however the customer chooses to shop they will have the same experience from one touchpoint to the next. It’s worth the effort, companies with omnichannel customer engagement strategies retain on average 89% of their customers, compared to 33% for companies with weak omnichannel customer engagement (Aberdeen Group via OneReach.com). The growth and success of a retailer is dependent on its agency solving all or, at the very least, some of these issues. Automating the synchronisation of your data is the key to solving all of these issues – allowing each system to share information with another so that your EPOS, stock, eCommerce, ERP, accounting and CRM work together. Cost can be prohibitive when trying to connect systems together, so agencies need to find a solution that not only provides added value but is cost effective too. If an agency can bring in a pre-built cloud-based integration platform instead of custom creating a solution each time, then retail projects can be delivered at a lower cost, in a shorter timescale. This leaves more budget for Strategy and User Experience. The cloud service model also provides access to expensive, feature-rich systems that may be out of reach if you had to pay for them in a lump sum upfront. Talisman’s TIDE retail integration platform – a Platform-as-a-service (PaaS) – does exactly this. It allows you to connect retail systems together quickly and at a low cost. It offers all the benefits of a cloud-based integration platform and a pay-as-you-go model – allowing businesses to pay for only what they use. In a tough market, agencies are aware that they need to offer their clients more value for their budget. An agency that thinks differently, offers good value, and a solid return-on-investment will stand out to their existing customers and in new pitches. The retailers they work with will reap the benefits of customer enticing technology without breaking the bank. TIDE provides a win-win solution whether you are a retailer, wholesaler or an agency adding value to your business, creating gains, increasing efficiency by providing cost-effective functionality. We look forward to working with you all in 2018.